Suzie Cooney’s Top Pick Health and Fitness Holiday Gifts: Aloha everyone! Here is my list of some of my “favorite things” that are sure to excite and motivate the fitness fanatics or those who are re-entering fitness, or simply want to change up their routine. Tune in here and listen to my radio segment from my weekly health and fitness radio segment on the Maui Breakfast Club, December 10, 2012 and find the perfect healthy gift. The training equipment I suggest here is appropriate for all ages and all levels of fitness. I like to keep things simple and functional as not to overwhelm people but to allow them to get the results they desire in a very easy and efficient way so they don’t get bored nor does there body. Click here to listen now. 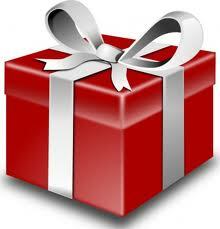 Gift Certificate for a Personal Trainer: Having someone in your corner is so helpful. Whether your trying to shed 5 or few more pounds, prepare for an event or race, or simply want to have a personal program designed to keep you on track and mix it up, a well qualified personal trainer can help. Check for certification such as NASM, make sure they are insured and have a good reputation in the community. Indo Board Balance Trainer: FREE SHIPPING UNTIL DEC 17th Order here Everyone knows that I am a huge fan of this equipment. It not only helps the surfers and standup paddlers in your life, but if your’e just coming off a knee, ankle or hip injury this functional training equipment can do wonders and help strengthen the weakest core muscles, improve your balance and leg, hip and knee strength. The Scosche Rhythm Monitor : Get Yours Here Employs Bluetooth Technology with your iPhone. 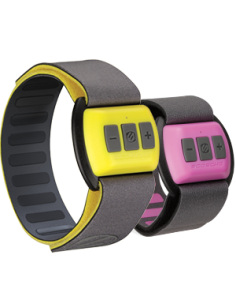 I use it for stand up paddle interval training and love it for my clients who track their beach running, cycling and more. I Love that my Scosche Rhythm Monitor goes around my arm and not my chest! Surf or Stand Up Paddle Board: I ride Naish Boards. Check out their HUGE selection Naishsurfing.com This is the ultimate cross training equipment. I have clients that come to me from around the world to paddle and train and the one thing they all have in common? They’ve discovered the huge health benefits of SUP. Swiss Ball or Stability Ball – Best size for all is 55cm. Available at most sporting good stores. 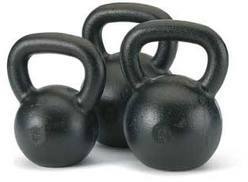 Kettle Bells: Suggested weights 15lb, 20lb or 25lb if your conditioned. One will do. Available at most sporting good stores. Tis the Season to NOT Tip the Scales: Tips How NOT to gain weight. Don’t worry, relax and just kiss under the mistletoe it burns lots of calories! Best Ways to Beat the Holiday Blues: Go For a Surf or SUP paddle : Why the holidays can be stressful, signs of depression and how to manage everything, from annoying relatives to nagging self induced forms of pressure. Learn that it’s okay to ask for support and take care of yourself. Throw Away Your New Year’s Resolution List – Get Real – Why they just don’t work and how to set yourself up for a year of success! 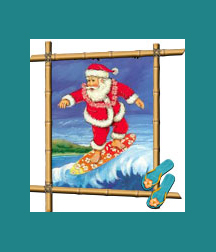 Mahalo for stopping by today and we wish you a healthy, surf-filled holiday.